We are Chris and Pamela Roble, the owners of Minneapolis-concrete.com and CC Concrete. Chris has been a full-time concrete finisher and foreman since 1994. After moving to the Twin Cities in 1998, Chris worked for a local concrete company serving many of the Twin City's prominent builders and developing his artistry in decorative concrete until 2008. In 2008, the company Chris worked for closed down. Chris has since continued to serve Minneapolis builders and homeowners with Cornerstone Custom Concrete, doing business as "CC Concrete," which was originally started as a side business in 2003. 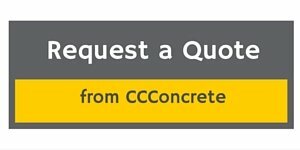 Click How We Do Business to find out more about CC Concrete. Pamela Roble, the wife of Chris, is the office manager of CC Concrete and the website writer/developer of Minneapolis-Concrete.com. Although she has not designed concrete herself, she regularly "picks the brain" of Chris for the steps and "how-to's" of concrete design. She is a teacher who loves to educate and writes the diy concrete articles and guides you find on this site. We both hope you are learning and getting inspired through our website. Please contact us with questions or if you have any suggestions of ways we could improve our site to help you. It is our great joy to serve our community by "Making Your Home Enjoyable to Come Home to".